The Social Democratic Opposition running favourite in the general elections on 4th December in Croatia. On 31st October last the President of the Republic of Croatia, Ivo Josipovic dissolved the Hrvatski Sabor, the only chamber of parliament, and confirmed that general elections would take place on 4th December next. All polls forecast that the Democratic Union (HDZ), led by Prime Minister Jadranka Kosor, the party in office since 1991 (except for a gap in 2002-2003) will lose. The Croatian electoral law and the constituencies have been redesigned. Opposition leader Zoran Milanovic (Social Democratic Party, SDP) criticised this change to the electoral map that took place less than a year before the general elections, qualifying it as illegal. Branko Bacic, the HDZ Secretary General said that this showed that the opposition forces were afraid of losing the election. The Croatian Parliament has been unicameral since 2001 when the Chamber of Comitats was abolished. Its only chamber, the Hrvatski Sabor, comprises around 150 MPs. According to the Constitution their number may vary depending on the legislature; there can be no less than 100 nor more than 160. MPs are elected every four years by proportional representation within 100 constituencies, each of them electing 14 people. 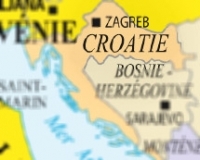 The 11th constituency rallies the Croats living abroad. The Croatian vote abroad, traditionally supportive of the HDZ is the focus of recurrent debate. The influence of the diaspora on the election is however negligible. The 12th constituency elects 8 MPs representing the national minorities. In the present Parliament 145 MPs represent the Croats and 8, the national minorities (3 Serb, 1 Hungarian, 1 Italian, 1 Czech and 1 Slovak) and two, the other minorities living in Croatia (Austrian, Bulgarian, Bosniak, Macedonian, Montenegrin etc ...). A political party has to win a minimum of 5% of the vote to be represented in the Hrvatski Sabor. – the Social Democrats (HSD), founded in 2004 and led by Ivica Pancic, has 1 MP. In Croatia the president of the Republic is elected by direct universal suffrage every 5 years. Ivo Josipovic, the Social Democratic Party, the candidate supported by the People's Party-Liberal Democrats, the Democratic Party of Istria, the Pensioners' Party, the Greens as well as the previous head of State, Stjepan Mesic, won the second round of the presidential election with 60.26% on 10th January 2010 beating his rival Milan Bandic, Mayor of Zagreb, who was excluded from the Social Democratic Party after announcing that he was standing with the support of the Farmers' Democratic Party; he won 39.74% of the vote. Turnout totalled 50.13% (33.80% in the first round on 27th December). The Democratic Union (HDZ) launched its electoral campaign on 27th September last in Zagreb. Jadranka Kosor, outgoing Prime Minister said she was happy with the government's work – the latter comprises the HDZ and the Farmers' Party. "The government is very proud of what it has achieved, which means a total success for Croatia," she said. However the country is experiencing socio-economic difficulties. Recovery is still uncertain and GDP growth is stagnating. It is due to rise to 1% in 2011 according the most recent figures released by the Central Bank. Unemployment totals 16.7%. Ms Jadranska's government was forced to implement austerity measures: budgetary cuts in the civil service, tax increases and cuts in public sector wages and pensions. In February 2011, demonstrations, the first of their kind, were organised in protest against the austerity policy implemented by the government coalition. Throughout the year the Croatians have demonstrated their discontent in the streets of Rijeka, Split and Djakovo. Over the four years to come Jadranka Kosor is promising to revive growth, reduce the country's public deficit (down to 2.6% in 2013) and boost youth employment without saying how she might be able to achieve these goals. "Zoran Milanovic wants to enter office quickly because he fears that his chances of winning will deteriorate when negotiations with the EU have been completed, that the result of the economic reforms will be visible and that economic recovery will be happening," she stresses. In addition to the international socio-economic crisis the HDZ is struggling due to various corruption scandals in which several of its members, including the former leader of the party and Prime Minister (2003-2009), Ivo Sanader, are involved. On 9th December 2010, on the request of the courts, the Hrvatski Sabor lifted Ivo Sanader's parliamentary immunity, the latter having fled Croatia. He was finally arrested in Salzburg (Austria) where he is now in prison. On 18th July last Ivo Sanader was indicted for abuse of power and corruption. He is under prosecution for having received money illegally (480,000 €) from an Austrian bank (Hypo Alpe Adria) when he was Deputy Foreign Minister during the Croatian war (1991-1995) and of having received a bribe of 10 million € from the Hungarian oil company MOL, which was trying to take over the Croatian oil company INA. Ivo Sanader could be sentenced to a maximum of ten years in prison. His trial that was postponed a first time for medical reasons, started on 3rd November. Under Jadranka Kosor's leadership the situation has improved somewhat. The Prime Minister also said that she would not forget nor forgive Zeljko Jovanovic's (SDP) declarations. The latter accused the HDZ of being a "criminal organisation". Doing more to counter corruption and organised crime is a demand made by the EU and Ivo Sanader's trial will be a test from Brussels' point of view. Josip Frisic, leader of the Farmers' Party, the HDZ's government ally hopes that the government coalition will continue. He said he is confident in a victory on 4th December next. "We have done everything in the right way. Many think that the Prime Minister has done nothing but she has worked every day to bring Croatia closer to the EU and we are now in a position to be able to sign our country's accession treaty to the EU," he said. Jadranka Kosor has also said that she wants to continue with the outgoing government coalition after the election. The Social Democratic Party (SDP) launched its electoral campaign on 21st September last in Varadzin (north). Zoran Milanovic presented a 21 point programme that focuses on five points: investment, innovation, integration, industry and exports. "A government led by the Social Democratic Party is the guarantee of a better Croatia," he said. He is promising to increase the GDP by 4% by 2015 and to win back the 140,000 jobs that were lost over the last four years. The SDP is quick to say that if it had been in power in the last legislature it would have reduced unemployment, avoided wage and retirement reductions, put a halt to inflation and developed infrastructure. It has chosen to make young people one of the main priorities of its campaign. Young people, who are the most sceptical about Croatia joining the EU, are believed to be the main losers in globalisation. "These general elections represent the battle for them to win back their confidence, optimism and their opportunities. We do not want a Croatia that is glued to the EU like a limpet; we want to turn our country into a giant, a little dragon within the 27," said Zoran Milanovic. "In Croatia the alternative is clear: on one side there is incompetence, corruption and confusion and on the other opportunity and hope to be governed better," he said. "The Democratic Union does not need a programme; it has shown over the last eight years what it has to offer," stressed Vesna Pusci, former leader of the Pensioners' Party and an SDP ally in the electoral campaign. She also qualified her country's accession to the EU as the "trophy that the Democratic Union would like to hang on the wall." The SDP has led in the polls since 2009. The party said that it would join forces with the Istrian Democratic Assembly, the People's-Democratic Liberals Party and the Pensioners' Party in the general elections. If Zoran Milanovic wins his bet on 4th December, it will be the first time that Croatia will have had a change of government since 2000. Croatia is due to join the EU on 1st July 2013. After six years of negotiation the membership treaty is due to be signed by 2/3 of the members of the Hrvatski Sabor on 9th December next. According to the Croatian constitution the text has to be submitted to referendum within 30 days of its adoption by Parliament. The President of the Republic, Ivo Josipovic said that he wanted the referendum on Croatia's membership of the EU to be organised after the general elections. The Head of State hopes that the vote in support of Zagreb's membership will rally at least 6 to 7 voters out of 10. In his opinion the Croats who say they will vote "no" to the membership referendum fear the unknown and that the political parties have to inform and help them overcome this feeling. All of the Croatian parties support EU membership except for the Right Party led by Daniel Srb and three others which are not represented in parliament: "Only Croatia" led by Milovan Sibl, "Action for a Better Croatia" led by Zeljko Sasic and the Democratic Christian Party led by Petar Kacunko, which joined forces on 5th October in the Alliance for Croatia. Progress in negotiations slowed somewhat due to differences between Zagreb and Brussels over the prosecution of war criminals, the fight to counter corruption and even the demarcation of the border with Slovenia. The EU criticised Croatia for a long time for not cooperating sufficiently with the ICTY in The Hague and of having delayed in reforming its legal system, believed to be excessively dependent on the ruling party. However the EU does believe that significant progress has been made and membership negotiations were finalised on 30th June last. The border dispute with Slovenia led to the suspension of negotiations between Croatia and the EU in December 2008. The dispute between the two States was over a few kilometres of coastline and some sea miles in the Adriatic in the Bay of Piran – which comprised Slovenia's only access to international waters. Indeed it is surrounded by national waters, Italian in the North, Croatian in the South. Ljubljana wanted an extension of its territorial waters so that it had its own access to international waters, the idea of which Zagreb rejected for a long time before deciding otherwise in 2009. The maritime border between the two countries was the focus of an international arbitrage procedure. Croatia is therefore due to become the second republic of former Yugoslavia to join the EU. "The door is now open, Croatia is returning to Europe," declared Prime Minister Jadranka Kosor, who hopes that this success will help her party, just a few weeks before the election. According to the latest poll by CRO Demoskop, published on 3rd November last, the Alliance for Change that rallies the Social Democratic Party, the People's-Democratic Liberals Party, the Pensioners' Party and the Istrian Democratic Assembly is due to win 37.2% of the vote. The Democratic Union is due to win 18.3%. Amongst the other parties running only the Workers'-Labour Party (HL-SR) is due to win the vital 5% of the vote to be represented in Parliament.